IR-controlled electronic volume adjustment. 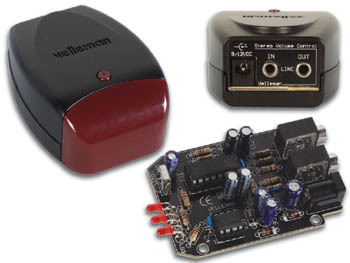 Controls the volume of audio signals, suitable for PC or hi-fi applications. Small enough to put next to existing units, CD or DVD player. stereo line level in/out: 2Vrms max. The best eCommerce software by ShopFactory powers P89. All-in one eCommerce and shopping cart software.